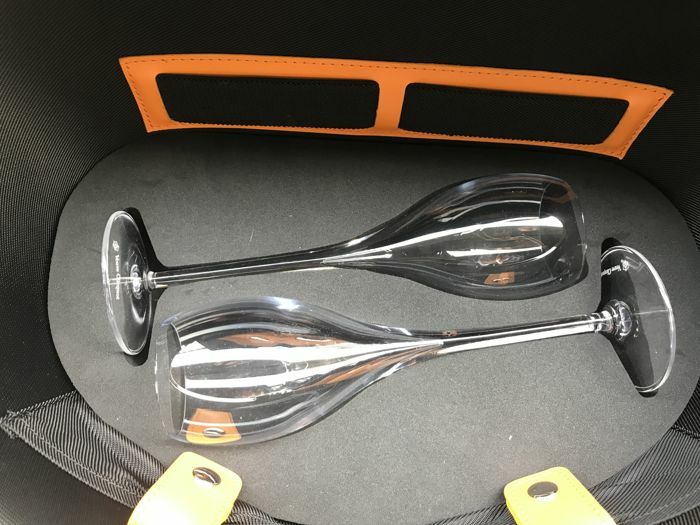 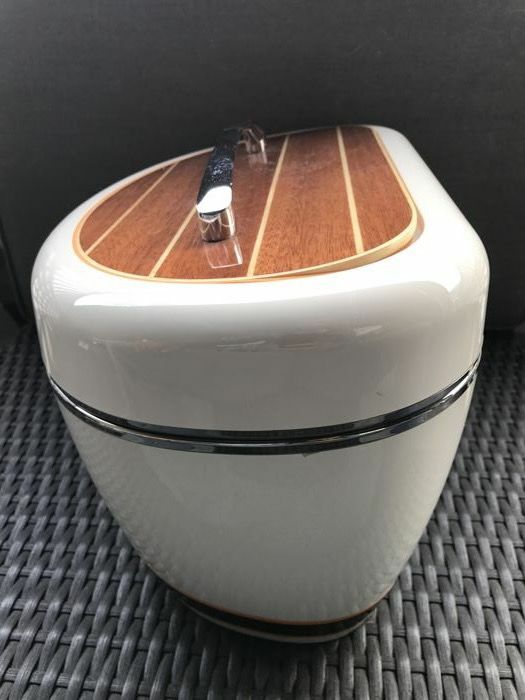 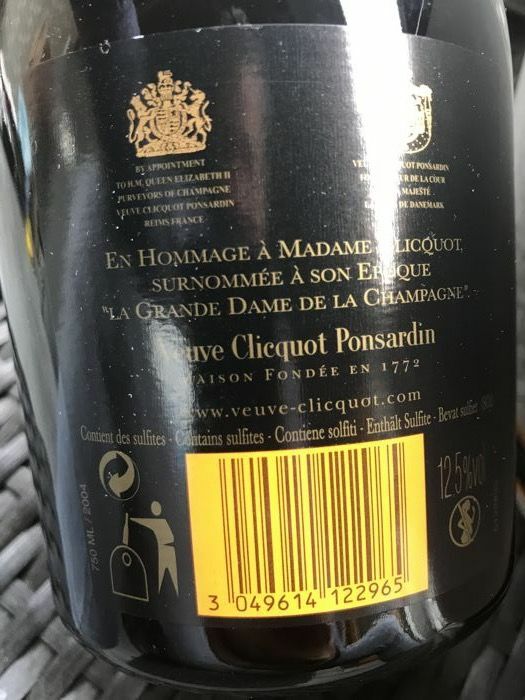 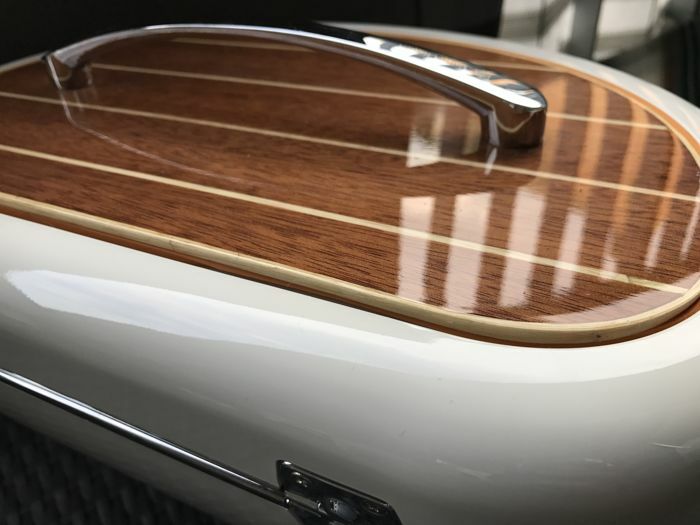 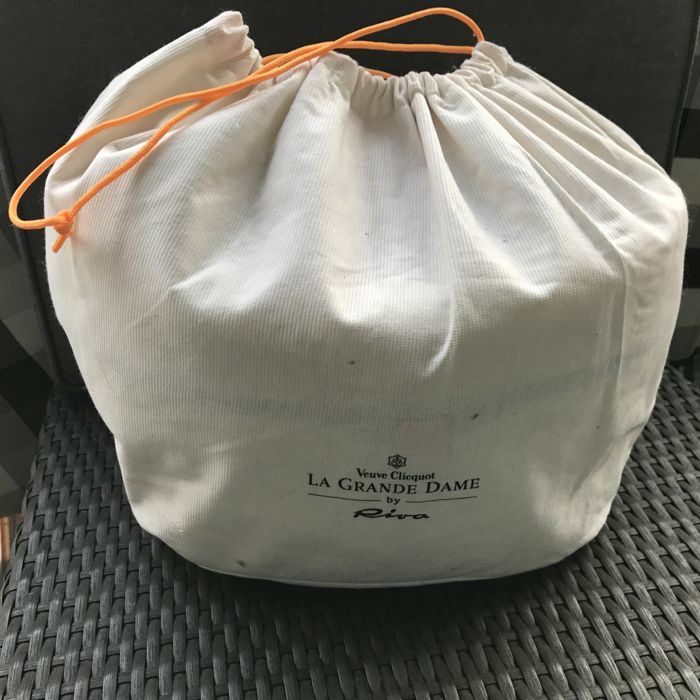 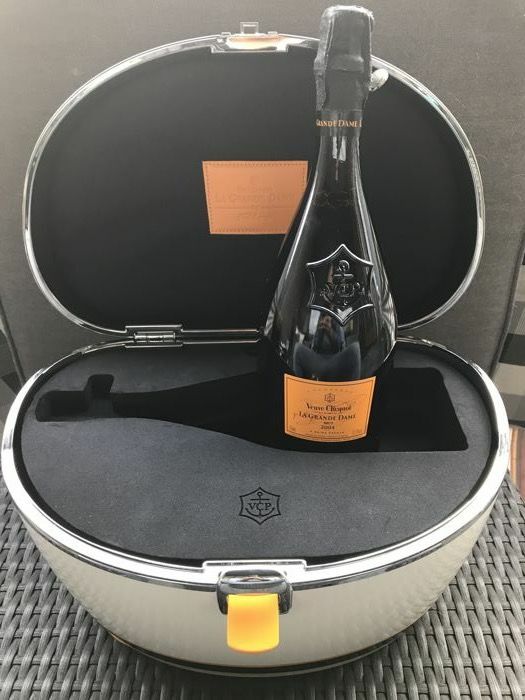 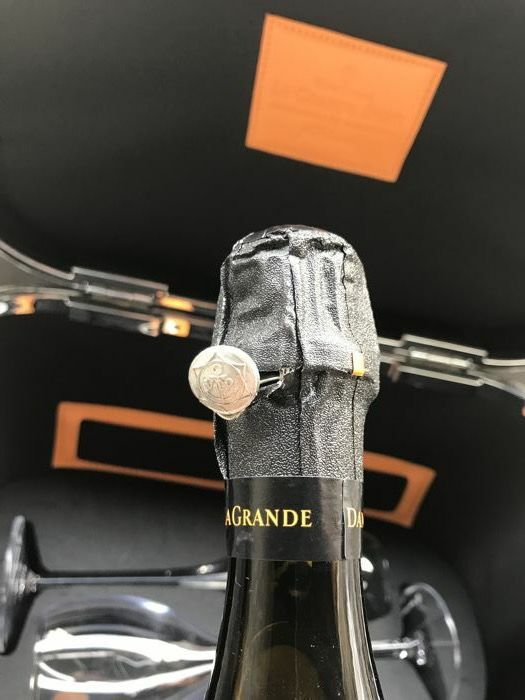 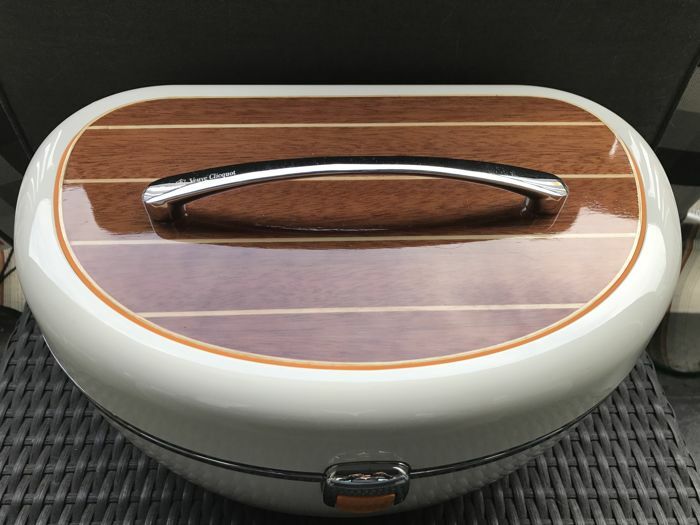 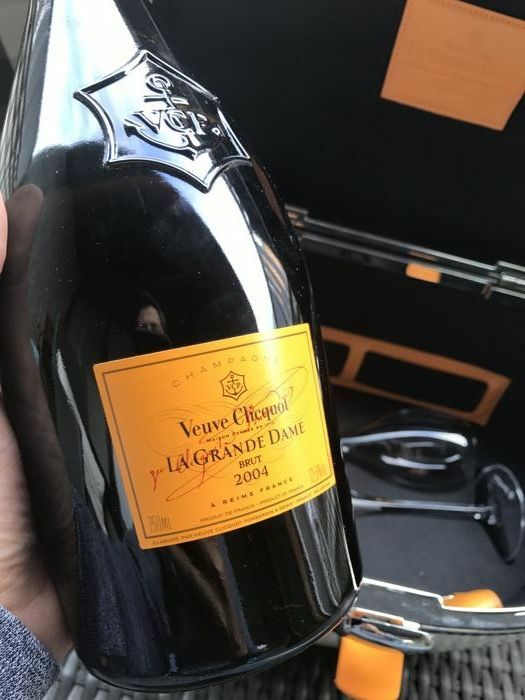 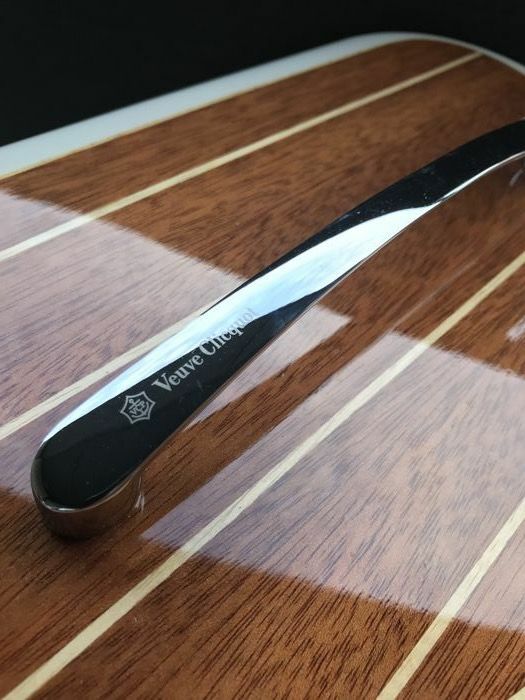 Veuve Clicquot – La Grande Dame – 2004 – Presented in an exceptional limited edition, originating from a collaboration between Veuve Clicquot Ponsarduin and the world’s top luxury boat manufacturer, Riva. 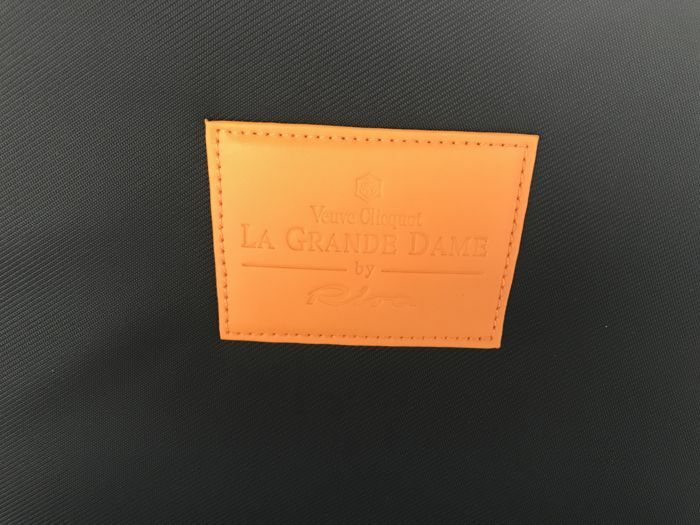 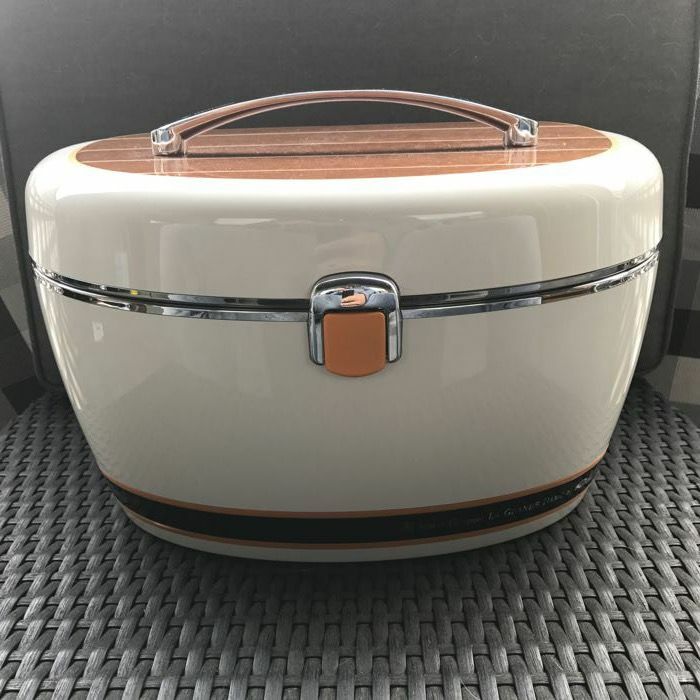 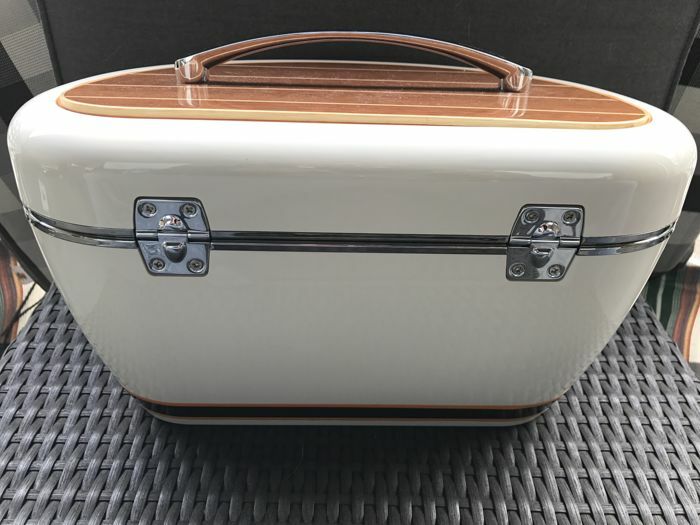 The Veuve Clicquot Cruiser bag was handmade in France, using precious materials: mahogany, leather and chrome. 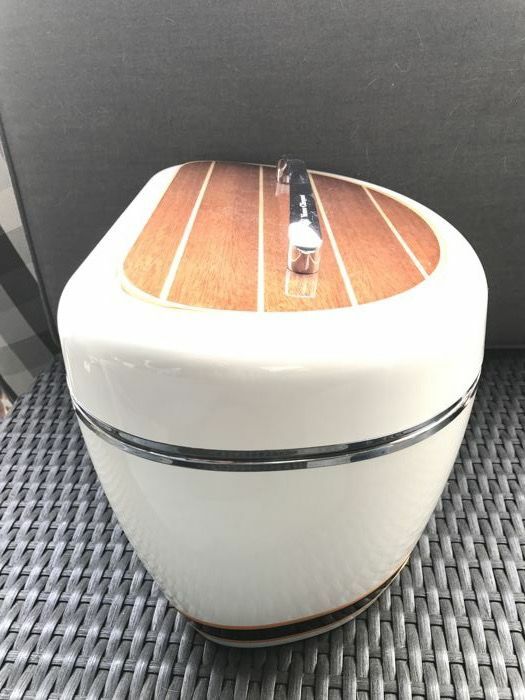 Cooler has been used, has signs of wear.